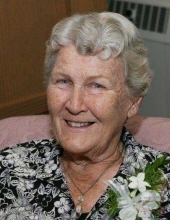 Carol Koester, 82, of Brownstown, died at 1:15 p.m. Sunday, March 24, 2019 at Willowbrook Memory Care of Vandalia. Funeral service will be at 11:00 a.m., Wednesday, March 27, 2019 at Liberty Christian Church, Brownstown with Jim Dann officiating. Burial will follow at Liberty Cemetery. Visitation will be from 6:00-8:00 p.m. Tuesday, March 26th at Liberty Christian Church and for one hour prior to service time. Memorials may be made to Liberty Cemetery Fund or the donor’s choice. Gieseking Funeral Home, Brownstown is assisting the family with funeral arrangements. Carol Sue was born on Tuesday, April 28, 1936 in Fancher, rural Shelby County, Illinois to Leo Wayne and Mary (Morrison) Compton. She married Howard Dale Koester on April 16, 1961 at the First Christian Church, Cowden. She was a member of Liberty Christian Church. She was a homemaker. She is survived by her husband of over 57 years of marriage, Howard Koester, Brownstown; daughters, Paula (Sorin) Ignat, Richton Park, Karen (Scott) Torbeck, St. Peter, Amy (Timothy) Hoesli, Taylorville; brother, Richard (Regeana) Compton, Effingham; sisters, Barbara Beck and Shirley (Trent) Buchanan, all of Cowden; sisters-in-law, Joy Compton, McClean and Phyllis Compton, Charleston; five grandchildren; Timothy (Amanda) Torbeck, Travis (Amanda) Torbeck, Erika (fiancé, Brian Smith) Ignat, Cheyenne and Regan Hoesli; great grandson, Jase Torbeck. She was preceded in death by her parents, brothers, Rodney and Gene Compton, sister, Nancy Compton and brother-in-law, Gary Beck. To send flowers or a remembrance gift to the family of Carol Koester, please visit our Tribute Store. "Email Address" would like to share the life celebration of Carol Koester. Click on the "link" to go to share a favorite memory or leave a condolence message for the family.